The Manatee Education Foundation is pleased to provide a directory of available scholarships provided by local service clubs, foundations, schools, businesses and organizations. 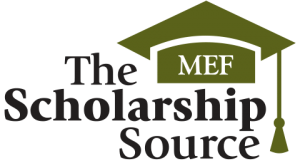 The Scholarship Source is sponsored by Manatee Community Foundation. Scholarships are listed in alphabetical order by the name of each presenting organization. Click the organization titles to view the details for each scholarship listed. Eligibility: Open to African American and Hispanic males residing in Manatee County or Sarasota; must attend a high school in either Manatee or Sarasota county; must be enrolling in a two- or four-year college for the fall 2018 semester; include resume and photo with application. Submit a well developed essay of not more than three (3) pages answering these questions: What are your short- and long-range goals? How will your course of study facilitate reaching these goals? How will your plans provide for impacting social issues in a positive way? Describe your achievements to date: success at school, service to your community. State your financial need, including: how the scholarship will impact financing your education and personal circumstances limiting your ability to completely finance your education. Submit forms completed by high school counselor and a teacher. Contact Information: Visit your high school guidance counselor’s office for forms and full instructions for submitting your completed application packet to: Alpha Phi Alpha Foundation of Manatee, Inc., 7282 55th Avenue East, PMB 188, Bradenton, FL 34203. Eligibility: Florida high school senior who is a direct descendent of a U.S. veteran who is a member in good standing of the American Legion; a U.S. veteran who is eligible to be a member of the American Legion; or a deceased U.S. veteran who would have been eligible for membership in The American Legion. Submissions must be typed. Applicant must supply the veteran’s documentation as instructed on the application obtained at FloridaLegion.org. along with a letter of recommendation from the school or community and the completed questionnaire. Contact Information: FloridaLegion.org. Click on Programs & Services tab, then select Scholarships. Additional scholarship opportunities are listed. Eligibility: The 2018 Lanford Family Highway Worker Memorial Scholarship Program provides post-high school financial assistance to the children of highway workers killed or permanently disabled on the job. Scholarships have a value of up to $5,000 per year. Applications must be postmarked by April, 1, 2019, and sent to Eileen Houlihan, Scholarship Program Manager, at ARTBA, 250 East St. SW Ste 900, Washington, DC 20024. If you have questions, please email Eileen at ehoulihan@artba.org. . Contact Information: The online link is at www.artbatdf.org. Eligibility: The Anna Maria Island Chamber of Commerce is again offering four (4) $1,000 scholarships to four (4) Manatee County graduating seniors seeking Business degrees. Please download the application below. We are accepting applications through April 30, 2018. The recipients will be notified by phone in mid-May. The scholarship awards will be presented at our Business Card Exchange in May 2018. We ask you to be present to receive your scholarship. Eligibility: Must be a graduating African American high school student who has been admitted to and registered in an accredited college or university; must possess a cumulative grade point average of 3.0 or higher on a 4.0 scale; must have demonstrated leadership abilities through participation in community service, extracurricular or other activities; must submit a recent photo, copy of high school transcript, financial aid forms and all other supporting documents; must provide three (3) letters of recommendation from non-family members with at least one from your school (letters must include addresses and telephone numbers of persons providing references). Your complete application will include a typed essay answering questions listed by the Association (available at your school guidance counselor’s office). An interview with the Scholarship Committee will be arranged prior to the final award. Contact Information: Obtain full instructions and forms from your high school guidance counselor’s office. Submit completed application documents electronically (as pdf file) by Feb. 15, 2019, to brice51@aol.com. Eligibility: The Barry Jones Memorial Scholarship is made possible by the Rays Baseball Foundation and presented by Manatee Education Foundation. Student must be a graduating senior from a School District of Manatee County public high school. The minimum cumulative grade point average to qualify for this scholarship is 2.5. Student must plan to enroll in an accredited four-year institution, or an accredited two-year program leading to a four-year undergraduate degree, or an accredited two-year degree program, or a full time job preparatory program at an accredited trade or technical school. Candidates will be evaluated on academic performance, financial need, involvement in school and community activities. 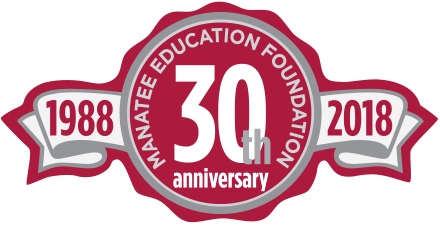 Student must submit a completed application to the Manatee Education Foundation. See application for complete details. Contact Information: Manatee Education Foundation – Students & Families page. Click on this title for a link to the PDF application form: Barry Jones Scholarship Application 2019. Contact Information: Check your school website, choose Scholarships and type Scholarships into the “I’m looking for” search box at top. Or visit your school’s guidance office. Contact Information: Braden River High School website Braden River High School – School District of Manatee Countyhttps://www.manateeschools.net/bradenriver and search for Scholarship. Eligibility: Manatee County Senior Cross Country or Track runner with a minimum 3.0 GPA. Contact Information: Bradenton Runners Club college scholarships webpage. Eligibility: Open to any high school senior who will graduate in 2018 and who is a U.S. citizen. For information and application go to www.elks.org/scholars. The 20 top finalists will participate in an all expenses paid Leadership Weekend in Chicago during which they’ll interview with the national judges. These 20 finalists will be vying for two first-place awards of $50,000; two second-place awards of $40,000; and two third-place awards of $30,000. The remaining 14 finalists will receive awards of $20,000. The 480 runners-up will receive fifth-place scholarships of $4,000. Award: Various, as described above. Contact Information: Elks National Foundation – Scholarship Programs. Click on Most Valuable Students. Florida Engineering Society / Florida Engineering Foundation Inc.
Name of Organization: Florida Engineering Society through the Florida Engineering Foundation Inc. Eligibility: Graduating senior planning to study engineering and pursue a career in engineering. Contact Information: Click here to view the Florida Engineering Foundation Scholarships webpage. Eligibility: It is the goal of the Order of the Sons of Italy to promote, enhance, and encourage the studies of Italian heritage and culture. This scholarship is designed to benefit worthy students of Italian descent that display academic excellence and leadership qualities. Requires complete application form and 750-word composition entitled “What My Italian Heritage Means to Me”; minimum GPA 3.0 (unweighted); minimum SAT score 1100 OR minimum ACT Composite score 23; acceptance as a full time student at an accredited junior college, college or university, and must enroll immediately following graduation from a Manatee County High School. Contact Information: Mail completed application, check list, essay, and all supporting documents to: Bradenton Sons of Italy Lodge Scholarship, Patricia Edwards-Chairperson, 2103 Manatee Ave. W., Bradenton FL 34205. Phone 941-792-9169, email to bradentonsoi@gmail.com, Bradenton Sons of Italy Lodge 2782 on Facebook. Eligibility: Application window May 1-31, 2018, with postmark no later than May 31, 2018. Kiwanis Club of Longboat Key Foundation is offering scholarships to eligible students attending local Florida colleges and universities. Please note that ALL of the information has to be included to qualify for consideration and scholarship award. Open to anyone accepted to regionally accredited post-secondary institution on full time basis (minimum 12 hours undergraduate), must demonstrate financial need, must be a year-round resident of Manatee or Sarasota Counties. Contact Information: Longboat Key Kiwanis Club scholarships webpage. Click the scholarships link to download the application form and instructions. Or, visit the Guidance office at your school. The completed application packet should be mailed to: Kiwanis Club of Longboat Key Foundation, Attn-Scholarship Committee, PO Box 8097, Longboat Key FL 34229. If you have questions, please call 941-374-5819. Contact Information: Also accessible through Lakewood Ranch High School website, Students page. On the Students page, select Career & College, then choose 2017-18 Scholarship List. Eligibility: Open to eligible military dependents; find requirements and application at www.macdillosc.com under the Philanthropy tab. Submit completed applications to Scholarship Committee, postmarked no later than March 23. Contact Information: Click here to view the Scholarship webpage. Email to scholarship@macdillosc.com. Contact Information: Manatee Community Foundation. Click on the Scholarships tab. Eligibility: Any senior graduating in Spring 2018 from a high school in Manatee County, FL. A strong interest in local history should be demonstrated by the applicant. This may be demonstrated by participation in the Manatee County History Fair, volunteer duty at the Manatee Village Historical Park or Gamble Mansion, research into family and/or local history, a related class project, etc. This interest should be continued in college, either in the major or minor field of study. Contact Information: See Guidance. Completed applications may be mailed to: Manatee County Historical Society, Attn: Roger Williams – Scholarship Chair, 4501 Manatee Avenue West, #234, Bradenton, FL 4209-3952. Eligibility: Seniors attending any Manatee County high school. Contact Information: Contact your high school Guidance office. Eligibility: Manatee County 17 year old resident, who will be 18 by May 1, 2019, and be registered in Florida as a Democrat (if age 18 or older) or have a parent that is a registered Democrat. Applicant MUST submit a copy of her/his voter registration card or parent’s voter registration card showing Democratic status. Official transcript of credits from high school where you are currently enrolled MUST be included with application. Have a minimum 3.0 GPA; submit a 150-200 word essay on either “The Role of Education in My Future” or “The Relationship Between Education and Democracy,” with sources cited; and three letters of recommendation. demonstrate financial need, as follows: Indicate how this scholarship will be of benefit you in the coming year. List any other scholarships or grants already received. (Such grants will NOT preclude your receiving this award if the scholarship committee considers you a promising recipient.) Explain the need for financial assistance: A financial statement of parents and /or student, such as FAS or 2015 income tax form, MUST be attached to show financial need. Three letters of recommendation from any of the following: civic leaders, political leaders, and/or academic personnel who are familiar with your abilities and achievements, MUST be included with application. Contact Information: The Democratic Women’s Club of Manatee County. Send completed application materials to: Pat Benson , 1406 90th Ct. NW, Bradenton, FL 34209. Contact Information: Check scholarships on your school website and/or contact your school Guidance office. Contact Information: Manatee River Garden Club. Select Grants/Scholarships/Awards. For further information, call Sue Pontius at 941-794-5507 or email spontius1@tampabay.rr.com. Eligibility: Awarded directly to high school seniors for academic or technical/trade school expenses; award issued upon proof of enrollment in a 4-year accredited college/university or a technical/trade school leading toward a Certification. Eligibility based on successful graduation from high school. Criteria to apply for the scholarship includes the following: 1. Must be a graduating high school student; 2. Resident of Sarasota, Manatee, or Charlotte County; 3. GPA of 3.0 or higher for college; GPA of 2.0 or higher for Trade/Technical School; 4. Major in Business, Finance, Science, Social Science, Math, Health, Health Management, Arts, Humanities or attend a Technical/Trade School leading to a certification; 5. Must submit an official high school transcript; 6. Two letters of recommendation, including one from a school faculty member; 7. Must submit evidence of leadership through work, school and/or community service activities; 8. A maximum one-page, typed statement on why you want to earn a degree or attend a Technical/Trade School. Tell us why financial assistance is required. 9. Must present proof of admission/acceptance into a two- or four-year post-secondary institution or Technical/Trade School in the US at the time of the scholarship award. Contact Information: Applications will be accepted on-line, go to Gamma Xi Boulé Foundation and select Matthew Carter Scholarship. Questions and completed application packets should be emailed to the scholarship committee at gammaxifoundation@gmail.com or mailed to: Gamma Xi Boulé Foundation, Inc., Sigma Pi Phi Fraternity, Inc., P.O. Box 20117, Bradenton, FL 34204. 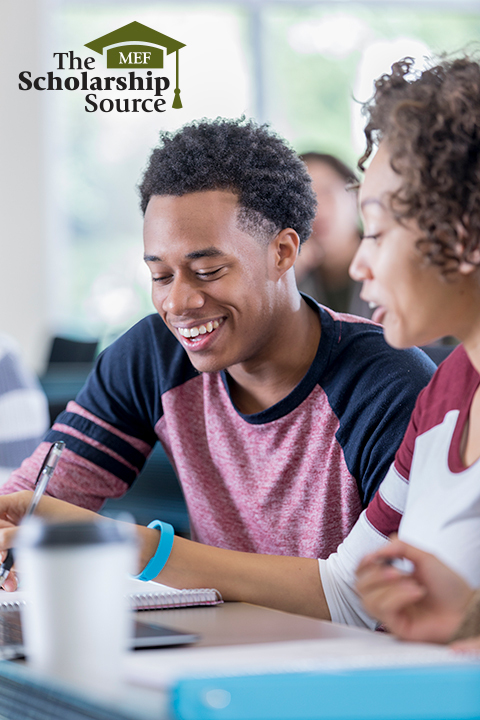 Eligibility: First-time-in-college student admitted to New College for Fall 2019. U.S. Citizen, U.S. Permanent Resident Alien, or eligible non-citizen. Contact Information: New College of Florida – Scholarships website page. Contact Information: Check your school website and/or contact your school Guidance office. Eligibility: Manatee, Sarasota, Charlotte and DeSoto County students who have either just graduated from high school or are graduating with an Associate’s degree in Spring 2019; have a cumulative unweighted GPA of at least 3.0; demonstrate financial need; and are pursuing a bachelor’s degree on a full time basis. Contact Information: William G. and Marie Selby Foundation – Scholarship Program webpage. Eligibility: Complete one application for over 175 different types of scholarships available. Minimum requirements: 2.0 GPA and enrolled six semester hours. Apply any time. Contact Information: State College of Florida Foundation – Scholarship Opportunities list webpage. Eligibility: Graduating senior; demonstrated financial need; enrolled in accredited 4-year college/university, 2-year college or technical school in Florida; begin post-secondary school in 2018-19 academic year; use scholarship funds for tuition, required educational institutional fees, and/or other direct course related expenses required of all students enrolled in the course of instruction; NOT to be directors, employees, or family members of directors or employees of Suncoast Credit Union, Members Title Company, Members Insurance Services, Members Trust Company or Suncoast Realty Solutions LLC. Contact Information: View our Students page for the current application form. Manatee Education Foundation, Email: wattersona@manateeschools.net. Eligibility: See link below for application information, eligibility requirements and contact information. The Saramana Chapter asks that the schools Senior Military Instructor make sure that their nominee meets the program criteria before it is submitted to the chapter. Contact Information: Saramana Chapter Operating Trust Fund – JROTC Contest webpage. Or, contact your school Guidance office and/or the school’s Senior Military Instructor. Eligibility: The contest is open to all students of the freshman, sophomore, junior, and senior classes (Grades 9-12). See link below for application information, eligibility requirements and contact information. Contact Information: SAR (Sons of the American Revolution) – George S. & Stella M. Knight Essay Contest webpage, www.flssar.org. 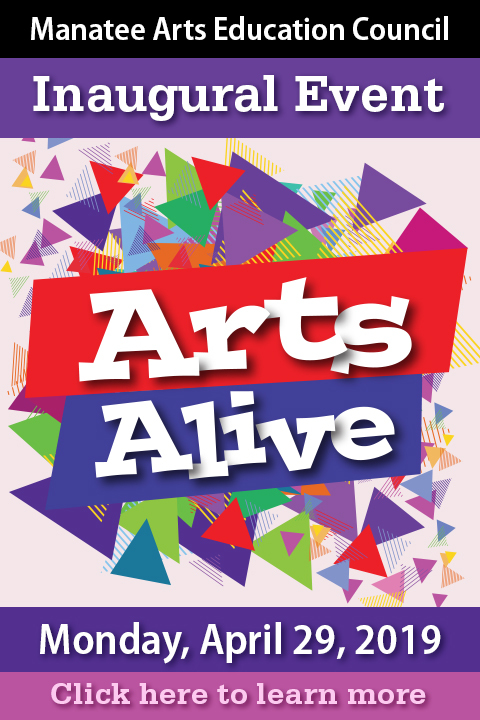 Eligibility: Open to all students (grades 9 to 12) in public, parochial, private, and home schools in Sarasota and Manatee Counties. Contact Information: Joseph S. Rumbaugh Historical Oration Contest webpage for Applicant Form and Sponsoring SAR Form Instructions downloads. Eligibility: Open to full-time minority students pursuing undergraduate degrees at accredited colleges or universities in the United States. Applicant must be an African American graduating senior planning to attend an accredited post-secondary Institution for the 2018-19 school year; must have a minimum 3.0 cumulative GPA on a 4.0 scale or a 4.0 cumulative GPA on a 5.0 scale; must have demonstrated leadership abilities through participation in community service, extracurricular, or other activities; must reside in Manatee or Sarasota Counties; must be a United States citizen. Application must be postmarked on or before March 15, 2019. Contact Information: Contact Guidance at your high school and/or check your high school’s online listing of scholarships. Contact The Links at: Bradenton/Sarasota (FL) Chapter of The Links, Incorporated, P.O. Box 50941, Sarasota FL 34232-0307, Application must be postmarked on or before March 15, 2019. Email: bradsarafl@bradentonsarasotalinksinc.org. Eligibility: Manatee or Sarasota County high school seniors. Two (2) letters of recommendation and an essay are required. The Scholarship Source is sponsored by Manatee Community Foundation and presented by Manatee Education Foundation as a resource for the students and families in Manatee County. You can click the MCF logo below to learn more about Manatee Community Foundation. Get on the list! If your company or organization offers a scholarship, you can have it added to The Scholarship Source. Simply call our office at (941) 251-4937 with your scholarship description and eligibility information.